Mr Bennett on holiday in Ireland at the UNESCO World Heritage Site of Newgrange, a Neolithic burial mound. The carvings are nearly 5,000 years old and unique among monuments like this in Europe. Welcome to Year 5 Willow Class. I have a degree in Anthropology and Archaeology and studied Egyptology at the University of London. The first few decades of my working life were spent as an archaeologist, travelling to such wonderful locations as Egypt, Palestine, Mexico, the USA and many sites in the UK. When I finished that career, I decided to become a teacher. I worked as an Archaeological Tutor for the University of Nottingham WEA and then when I moved here, I was a tutor at The University of Oxford and Reading University. 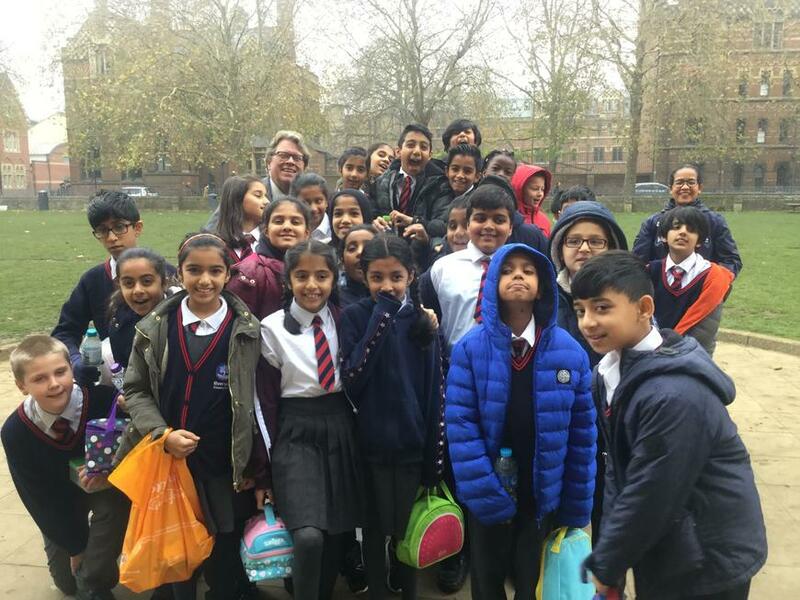 I received my PGCE reasonably late in life when I decided I wanted to teach in Primary School and after working at various schools, I found a home at Riverside. I've been here now for several years and really enjoy life at this school. I will be updating you about what we are studying and what projects we will be embarking upon. As always, I urge parents to read with their children at home. I cannot stress the importance of regularly using the English language at home, through TV shows and DVDs, speaking, conversing with siblings in English and most importantly, reading and being read to. There is a proven link between reading and improvement in writing and this is a commitment we have, not only in Year 5, but throughout the school. Year 5 children proudly showing their work in English. An important skill is being able to find the relevant specific information from a piece of non-fiction text. I didn't notice that Amaan was pulling off such a funny face - but it has captured a moment. The Pitt-Rivers Museum, Natural History Museum, Oxford. 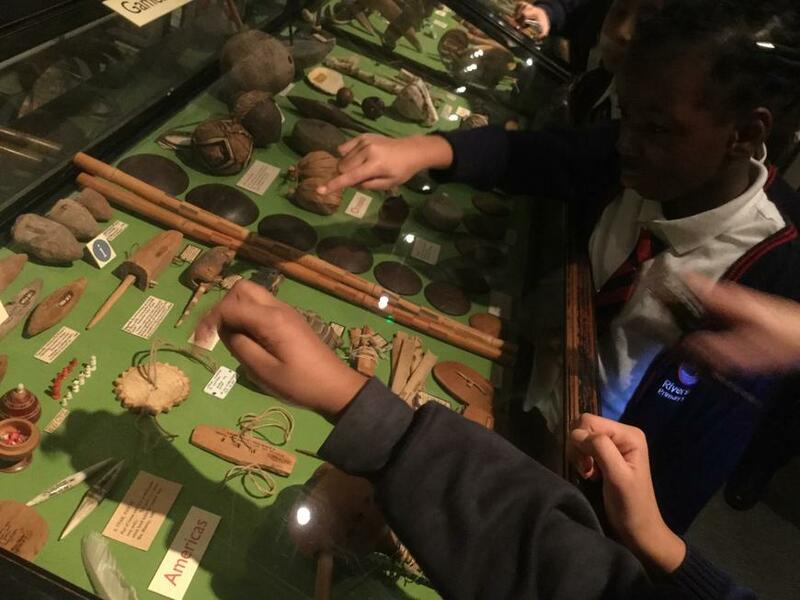 Willow Class is going to be visiting this museum on a full-day trip Thursday November 22nd 2018. We are studying an ancient people in Mexico called the Maya. 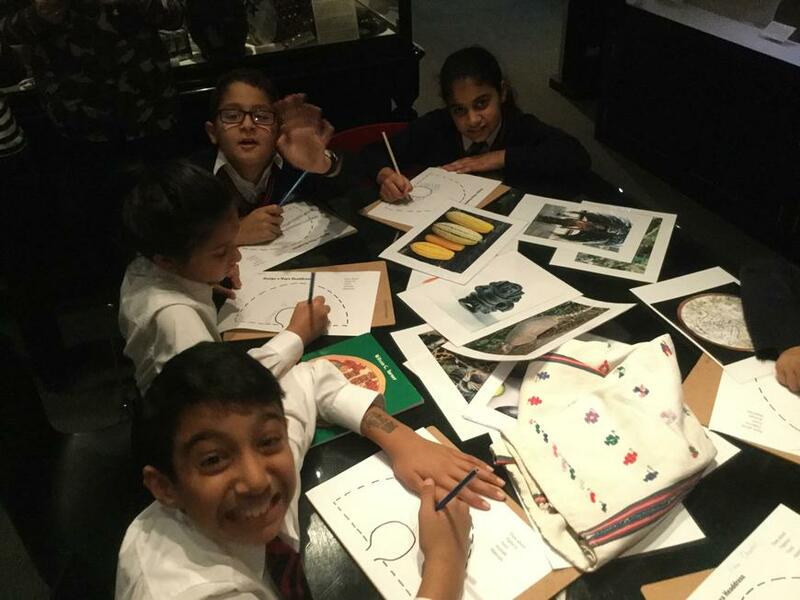 The specialists at the Museum will be giviing the children a workshop about these fascinating people that will include handling artefacts. 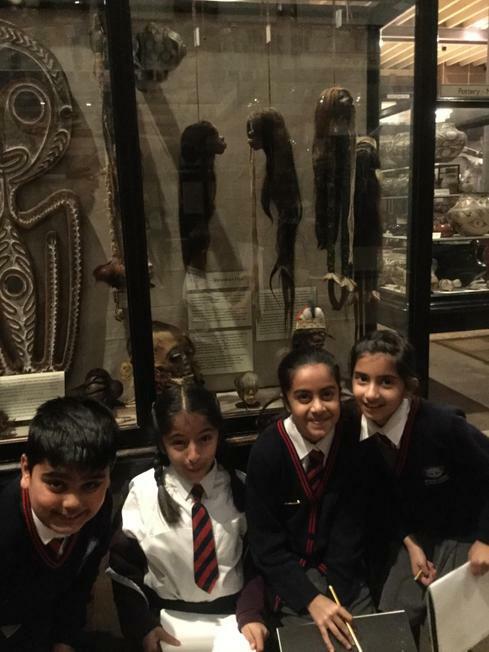 Mr Bennett will also lead them through some of his favourite parts of the Museum, which include objects from all over the world. 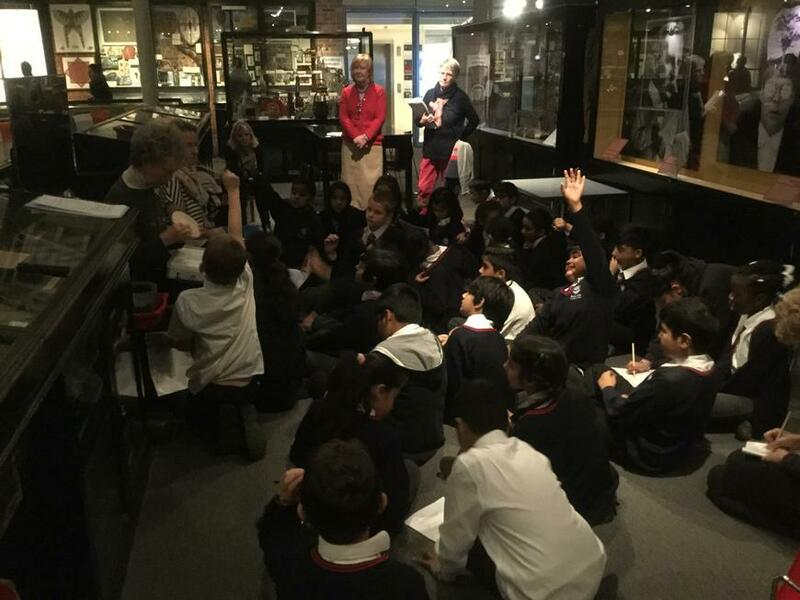 A wonderful opportunity to learn about how other people lived in the past. Details about the cost of hiring the coach and the museum workshop will be sent out soon. 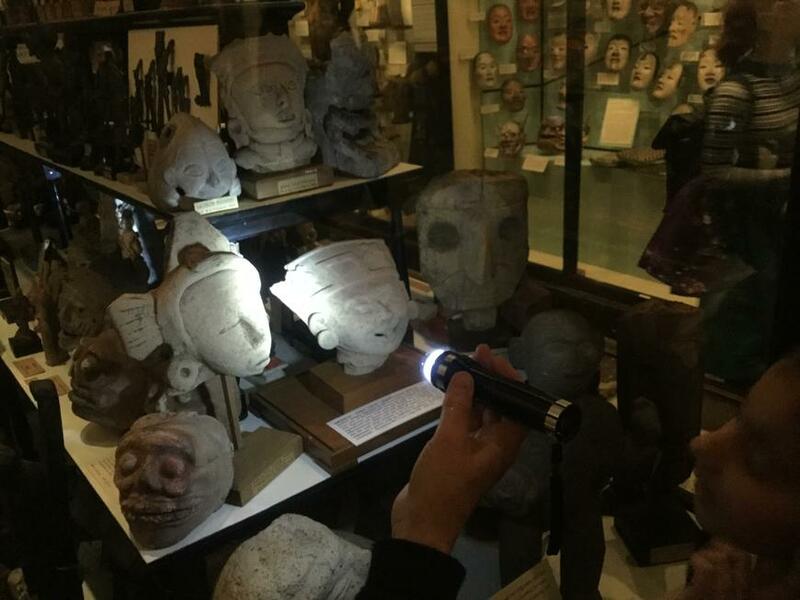 The Mayans were famous for building pyramids, creating the first calendar, developing a hieroglyphic language and sculpting beautiful pieces of art like this - a Mayan King in a purification ritual. 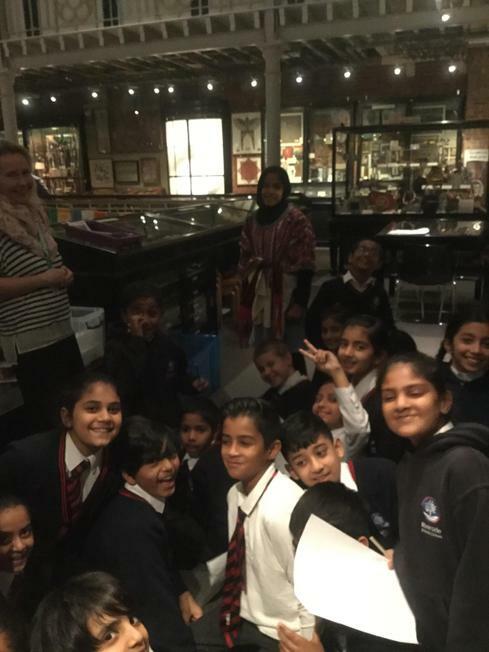 Year 5 enjoyed a great day out at the Pitt-Rivers Museum in Oxford. The children had such a great time, they didn't want to leave (especially since I didn't allow them to go to the gift shop). 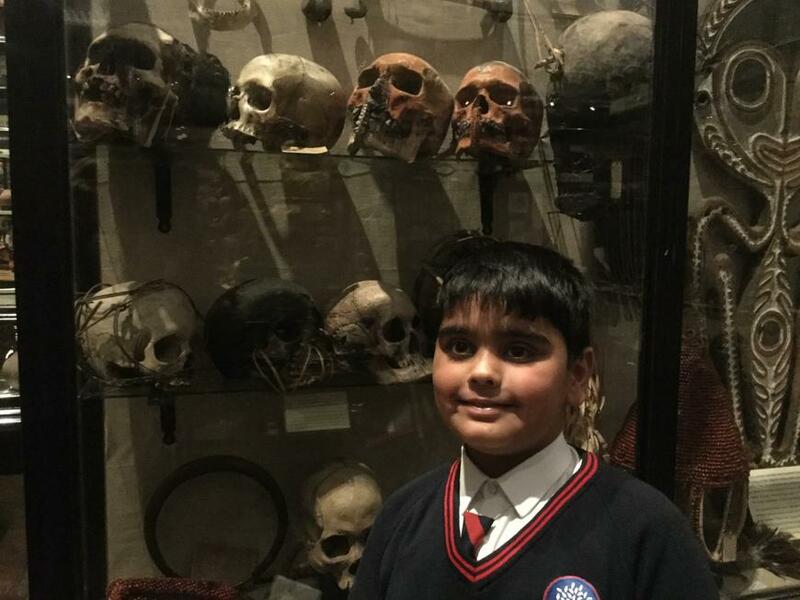 I really encourage parents to take their children to the museum and enjoy the amazing collections with them. It is easy to get to Oxford. Go to the Park-and-Ride off the M40, take a comfortable bus into the City Centre and walk up to the Natural History Museum. Your child will remember that the Pitt-Rivers Museum is past the dinosaurs and down the stairs in the back. It is well sign-posted. Oxford is a beautiful city for a day out, especially this time of year. We had an expert presentation on Mayan life through different types of objects - sculptures, woven textiles, artefacts and drawings. 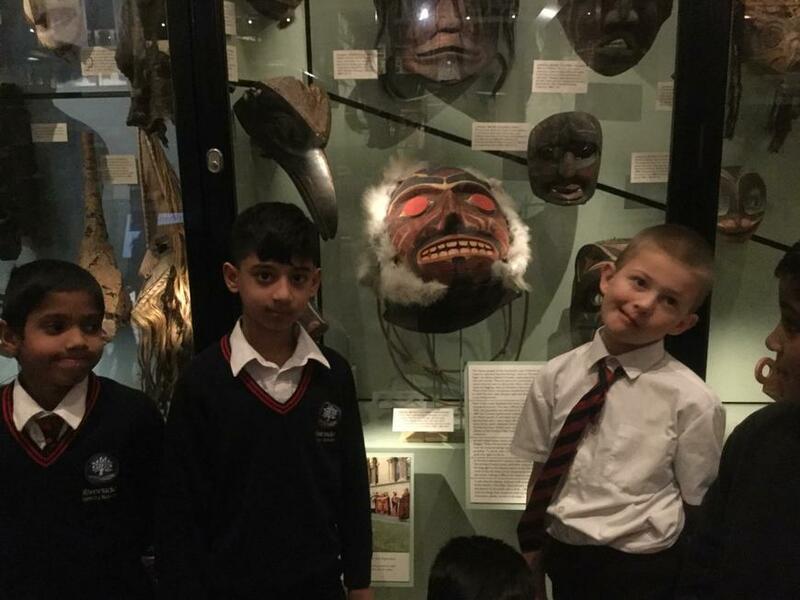 I led them personally through the exhibitions after lunch so we could see the incredible diversity of objects from all over the world, including weapons, costumes, masks, ritual objects, shrunken heads, tools and many other categories of artefacts. As you can see from the photos, the children are having an amazing day of learning outside the classroom. The one and only day we had snow in 2019! Obviously the children went crazy and tested out their sculpture skills making a version of Mr. Bennett in the snow. World Book Day is Thursday 7th March. The day will be filled with fun and exciting activities that promote the love of reading. This is the Willow Class Reading and Relaxing Corner. Children take off their shoes, chill-out and have 20 minutes of quiet reading every morning. Thursday the 7th of March 2019 was World Book Day. Riverside pulled out all the stops and had a full fun-filled day of story-telling, story writing, challenging activities and of course, reading books. Here is our story-teller retelling the Lion, the Witch and the Wardrobe for Willow Class. The 11th to the 15th of March, 2019 was National Science Week. Schools up and down the country placed an emphasis on teaching subjects related to Science, and Riverside was no exception. The theme was 'Journeys' and I wanted the children to understand the journey that water takes from the roots of a plant through the stem to every other part. We placed celery and white chrysanthemums in water coloured with dye. The class was then introduced to Cell Biology and the difference between plant and animal cells. Focusing on plant cells, we examined a cross-section of a plant stalk and discussed how it is that the phloem and xylem do the job of 'transpiration' (transporting water through the plant). We could see these little tubes highlighted in the dyed celery, but the coolest thing was that the blue dye travelled up into the white flower of the plant to turn it blue! Each class had to highlight a famous English scientist, and we chose Robert Hooke (1635 - 1703). He used the microscope to examine plants and insects, being the first person to ever scientifically illustrate what he saw through the microscope. We did the same by bringing a selection of microscopes to our Science Fair for parents and children to see amazing things up close. Here are some of our young scientists presenting our Science Fair display.